There used to be a time when viruses could only infect your desktop. After all, those were the only devices that could be connected to the internet. Now though, things are very different — all of us carry smartphones that, physically, might look very different from a desktop but internally, they are pretty much the same. A smartphone also comes with a processor, can store things, has a display and runs on an operating system. One of the most popular mobile operating systems in the world is Google’s Android OS. Used by most smartphone manufacturers in the world and utilised by millions of people, it has become a very big target for attackers and other unscrupulous individuals, and it's not difficult to see why. We do almost everything from our smartphones these days, ranging from social media to banking. So, attackers have found ingenious ways to hack smartphones and retrieve all your data. Kaspersky knows about these dangers quite well and have created a software suite specifically designed to protect Android devices. 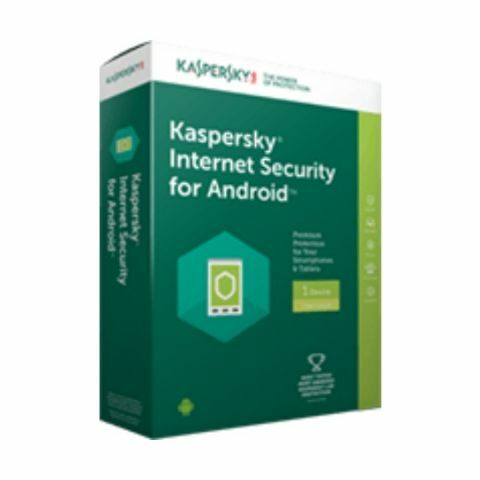 Called Kaspersky Internet Security for Android, the suite can be purchased from here. Let’s take a look at the features of Kaspersky Internet Security for Android. With the rise of mobile malware, Kaspersky is trying to stay one step ahead. The software automatically scans apps and files for any malicious code or content. It is powerful enough to block suspicious websites as well as dangerous links hidden inside text, such as phishing links. Kaspersky Internet Security for Android also gives you an option to manually scan your device, if you get the feeling that something doesn’t seem right. You smartphone is an extremely personal device. As such, the last thing you would want is prying eyes trying to read your texts, call logs or even your photos. With Kaspersky Internet Security for Android, users will have the option to set a passcode for sensitive apps. So, If you set it on your photo gallery, it will not be accessible without a password. As a result, only you (and those you trust) will be able to access those apps. Kaspersky Internet Security for Android can also hide incoming calls, texts as well as call logs from prying eyes. Kaspersky Internet Security for Android may offer a lot of features, but it is still pretty lightweight when it comes to performance. The phone requires pretty modest specifications from your device such as a minimum screen resolution of 320 x 480 pixels and at least Android Jellybean v4.1 or higher. This ensures that almost anyone who uses an Android device can be protected from online threats. Kaspersky understands that any piece of software needs to be easy to understand in order to be useful. Kaspersky Internet Security for Android is designed to be simple and easy to use so that more people will be able to make use of its features and keep themselves safe. Further, Kaspersky Internet Security for Android also offers support for Android Wear. As one can see, Kaspersky has covered multiple bases when it comes to providing security for Android devices. With so many features, Kaspersky Internet Security for Android should definitely be considered by anyone looking for a way to stay safe on mobile. The software suite can be purchased here. Further, users also get a lot of options when it comes to Kaspersky Internet Security for Android. They can not only choose to secure multiple devices, but they can also get a free version of the suite. While the free version of the suite may not offer all the features, it offers just enough to keep you safe and secure.